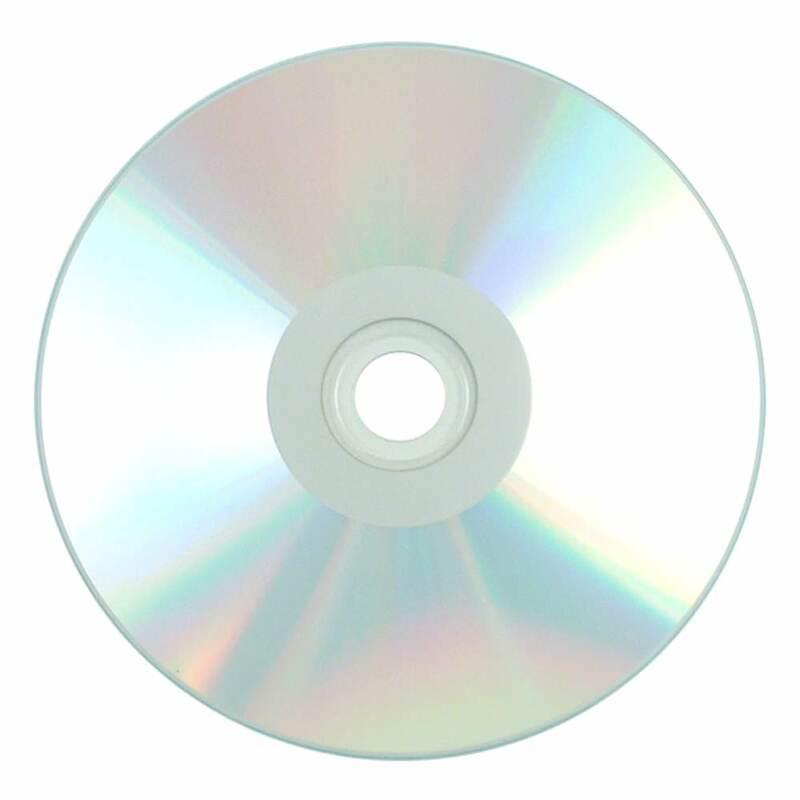 For top of the market quality, turn to CMC Pro’s silver thermal hub printable CD. This CD-R has all the features your professional project requires. The silver printable hub surface allows for extended printing space to create eye catching disc labels. The superior durability and high level of recording accuracy of these discs ensures a high end finished product. Even with all these excellent features, these CD-R discs are available for high quantity discounts. 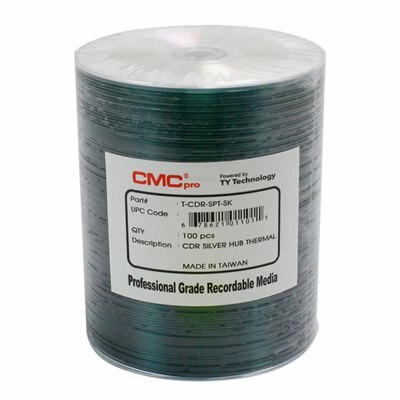 From the company that pioneered recordable CD technology, CMC Pro Powered by TY Technology CD-Rs have the best quality and highest reliability in the recordable media industry. 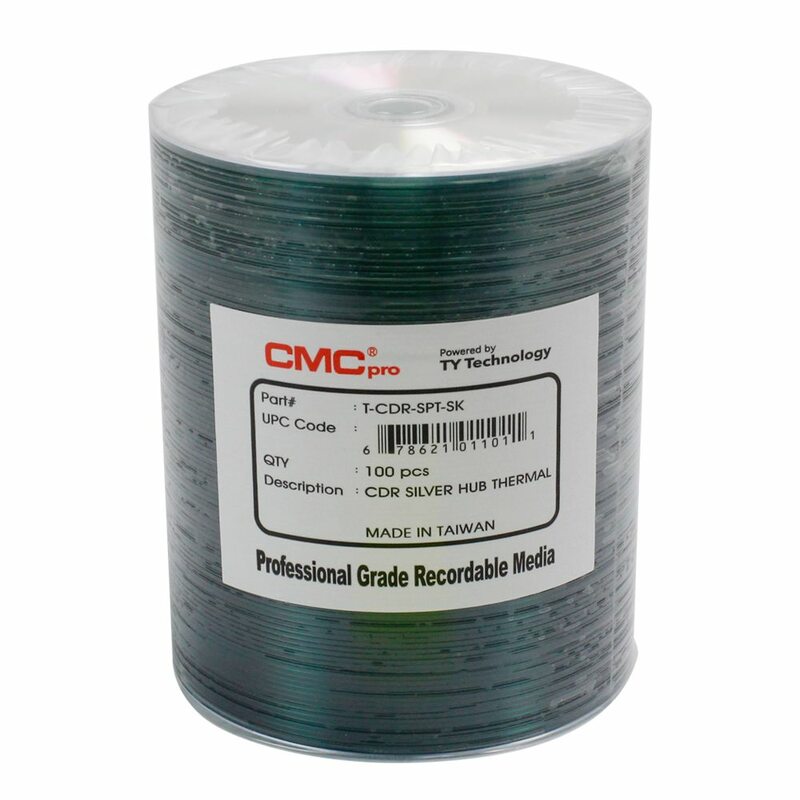 CMC Pro Powered by TY Technology CD-Rs outperform the competition in recording accuracy and superior durability in a wide variety of data and audio applications. Everest silver thermal printable surface allows for superior color prints using the Rimage Everest printer.